Justin "Bobby" Brescia is thrilled to be working with a smaller cast on "The Hills" reboot ... 'cause he says Lauren Conrad and Kristin Cavallari killed the good vibes on the original MTV series. 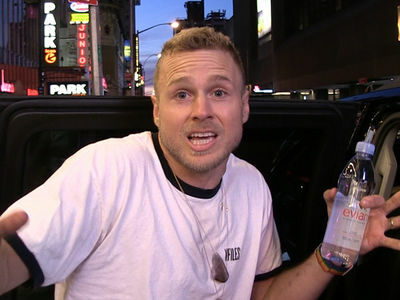 We got Justin in NYC Monday leaving the Four Seasons Hotel ... and he suggested LC and Kristin were difficult to work with -- so he's glad the 2 aren't joining him on the reboot, "The Hills: New Beginnings." Justin tells us ... there were "s****y people" involved in the original show, which ran for 6 seasons from 2006-10 ... and says the new cast is way better. The new show features Audrina Patridge, Heidi Pratt, Whitney Port, Spencer Pratt, Stephanie Pratt, Jason Wahler, Frankie Delgado and Justin. LC and Kristin aren't coming back for different reasons. LC is focusing on her family and business ventures. Kristin is under contract with E! for her own reality show. Justin says the condensed cast is happy and they all have positive vibes. The reboot is slated to premiere on MTV in 2019. Kristin Cavallari to Jay Cutler: What The Hell Do You Do All Day? !